"Command Performance with Vincent Price"
It would be hard to imagine a more night-mare inducing Bela Lugosi, Boris Karloff, Peter Lorre, and Vincent Price. The work of these three very frightening actors are presented in this collection. While the characters they play have inspired numerous night-mares, the actors themselves were actually quite pleasant and funny people. But the typecasting they received would lead you to believe that all three took positive delight in murder and terror. This murderous reputation has often been parodied to great effect. Boris Karloff became a star with his portrayal of Frankenstein's Monster in Frankenstein (1931) and Bride of Frankenstein (1935) and Son of Frankenstein (1939). He also played the mad scientist in other Frankenstein films, as well as Imhotep in The Mummy (1932), and several horror roles for different studios. In 1941 Karloff opened on Broadway in Arsenic and Old Lace; Karloff played a very frightening psychopathic killer who's most distinguishing feature is that he looks like Boris Karloff! He also began making radio appearances, including Arch Oboler's Lights Out!and as an occasional guest on Information Please. There is a story that Karloff was superstitious, and refused to appear on an episode of the quiz show that was to broadcast on Friday the 13th. He often made appearances that spoofed his frightening roles. 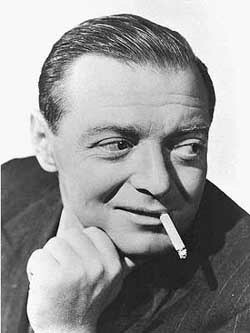 Peter Lorre was born to a Jewish Family in the Austro-Hungarian Empire. His first starring role was in the German film M (1939), playing a serial killer who preys on little girls. His success in M attracted the attention of Alfred Hitchcock who cast him in The Man who Knew Too Much, despite Lorre's limited mastery of the English Language; Lorre learned his part phonetically. In Hollywood Lorre specialized in playing sinister foreign killers. In Hollywood he starred in the Mr. Moto series, in which Lorre played a Japanese Detective that paralleled the Charlie Chan series. In 1941 Lorre played Joel Cairo in the Maltese Falcon with Sydney Greenstreet and Humphrey Bogart, and appeared the next year as Ugarte in Casablanca with Bogart and Greenstreet. Lorre expanded into comedy in the movie version of Arsenic and Old Lace as the murderer's sidekick,Dr. Einstein (Karloff wasn't able to play the role in the movie, which was filmed in 1941, while he was appearing in the play on Broadway). 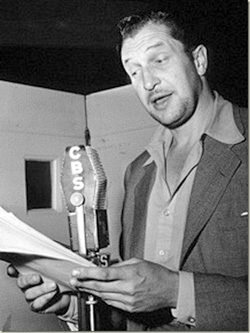 Lorre also seemed to enjoy appearing on the radio to spoof his type casting, although he did take advantage of it when starring in the anthology series Mystery in the Air. The third leg of our terror-tripod is Vincent Price. Price's first foray into horror was with Karloff in The Tower of London (1939). The following year he had the title role in The Invisible Man Returns. Most of his movie work through the remainder of the 40's was in villainous film noir roles, while on radio he brought the Robin Hood inspired detective Simon Templar to life in The Saint. Through the 50s and 60s Price returned to Horror films. His horror roles were celebrated in Micheal Jackson's ground-breaking music video Thriller, which featured Price providing a sinister voice over in the video ad on the album. Our collection of Horror Actors Getting Laughed at features our horror stars appearing as guests on several different comedy programs. Usually they get a chance to spoof their type-casting. As guests they it is obvious they are having a good time, although at times it becomes very obvious that they are not used to performing infront of a live audience- like Vincent Price's appearance on Duffy's Tavern where Price completely blows a joke. Price is telling a story about a sister not feeling well. "She writes me that 'I have just reached Chicago sick,' um, that is, Chicago Ill."
All three make appearances on Duffy's Tavern, as well as the Fred Allen Show and the Jack Benny Program. 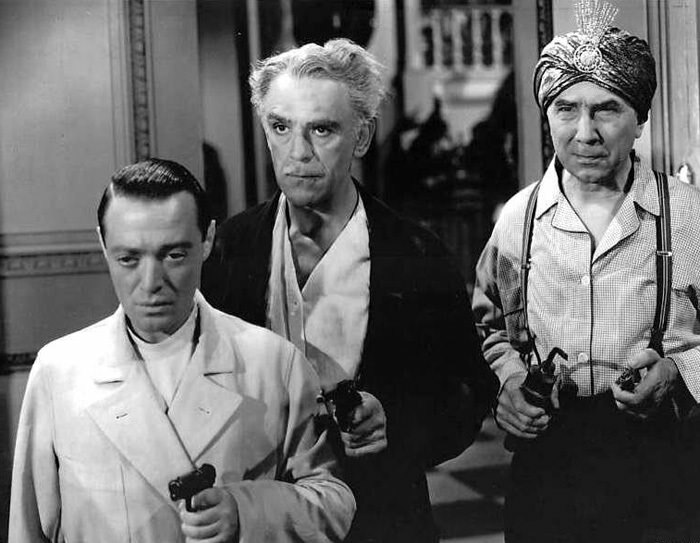 Both Lorre and Karloff appear in the same sketch on Jack Benny's program, several months apart; "I Stand Condemned". A similar situation occurs on the Fred Allen Show when Fred needs an new apartment, only this time with Karloff and Bela Lugosi. 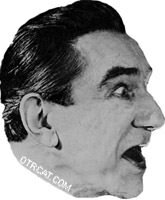 Lugosi is best known for playing Dracula on Broadway and in film. 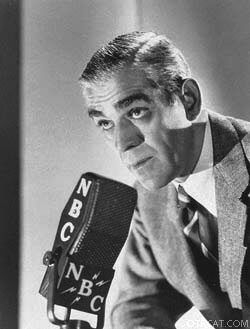 Bela did make a few other radio appearances, mostly in horror related roles. He had been a pioneer in horror films, but he ended his career on Hollywood's Poverty Row, and making low-budget movies with film maker Ed Wood. Be the first to comment on "Boogeymen in Comedy (Screamstars Playing for Laughs)"